Welcome to the place where courage wakes. I'm self-published author/writer, Kyle Lionheart. Admittedly? I love writing more than breathing. Injecting my heart into creating a world of words is mine. ...And my "destiny", so to speak, is to find a way to use that ability. You see, I want to help as many people as possible with my unique style of writing. I guess you could say that's been my dream - my everything - for my entire life. So, I'm writing all of me until there's nothing left. ...one day and page at a time. That is, as long as you don't give up on a dream. I'm not afraid to take risks. This isn't my story; it's everyone's. What if the world had already ended? And what if it was about to end again...? Unbeknownst to us, Earth has endured a dark reality that's been silently lurking beneath the ashes of a forgotten past - one that's been protected in secrecy for thousands (upon thousands) of years. Only a few ancestors from the original 'Rebirth' know the truth. That is, the truth of the second cycle that's to come... and, ultimately, "finish off" all of humanity as we know it. And yet, our destiny... hell, our existence... still has a chance. For an ember of hope (obliviously) rests in the vessel of a young, 20 year old boy. ...To himself? He's just Kyle Lionheart. But to the whispering prophecy...? He's, 'The Awakener'. And with the long journey ahead, he's about to open his eyes to a lot more than he bargained for. "The Seven - Awakening," is the first book in the epic saga between the journey of Kyle and his friends. 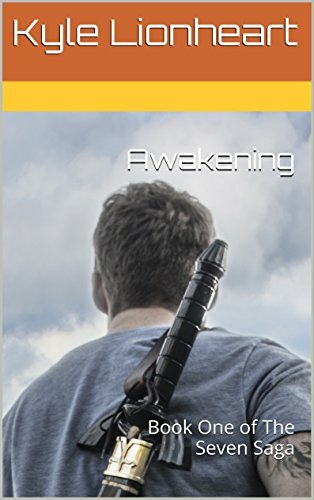 Inspired by real-life events, people, but most of all, the essence of tragedy itself - "Awakening" is a creative blend of both fictional AND non fictional story telling. Fragments of Kyle's (sabotaged) memory are, at long last, gradually coming back. And yet, this isn't a time to relax or reflect - it's a time to prepare for the enigmatic return of the second cycle and along with it, humanity's darkest threat; the Other Ones. Protecting a secret from the abyss of a world once destroyed and forgotten, an unlikely fellowship of heroes must band together in order to make sure theirs isn't next on the list. Their only hope? Seeking out the rest of the legendary 'Seven' warriors to try and win a war once lost. It seems not everybody shares the same intent to 'save the world'. Some - vengefully creeping through the shadows of Kyle's complicated past - would rather be the catalyst in ensuring its slow burn. "The Seven - Catalyst" is the next portion of the epic saga highlighting the journey between Kyle and his friends. 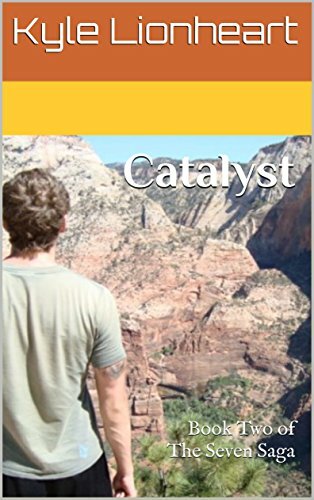 Blending real-life people, friendships and experiences with a transforming adventure/fantasy twist, "Catalyst" courageously strives to go where no series has EVER gone before...and open the reader's eyes to their own unique potential throughout each page.